Beginning December 4th, customers will be able to purchase two new Wii Bundles. The first is a White Wii that includes Just Dance 4 and a Wii Remote+ controller, for $129.99. 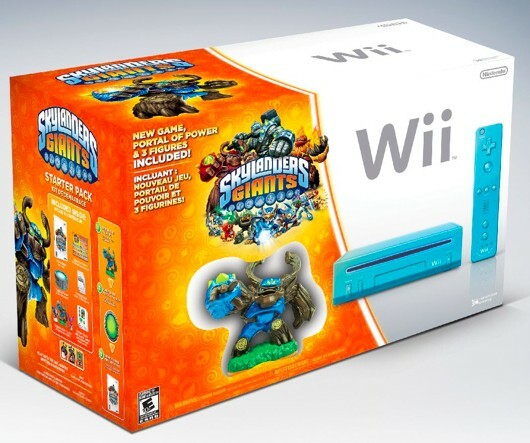 The Skylanders bundle includes a copy of Skylanders: Giants, along with a Blue Wii and Wii Remote, and a Portal of Power, plus an exclusive Giant for the game. This bundle is priced at $149.99.